Fritzi of Movies Silently is hosting the Early Women Filmmakers Blogathon sponsored by the Flicker Alley release Early Women Filmmakers: An International Anthology. The blogathon is running from March 27th to 29th and you can click HERE for the contributions. 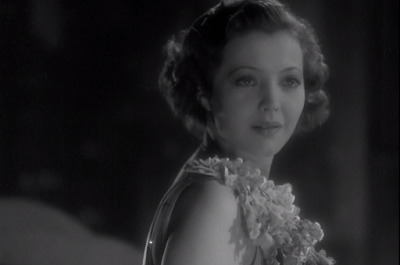 Meet Joan Prentice (Sylvia Sidney). She's the sweet and somewhat sheltered daughter of a wealthy manufacturer who has succumbed to Cupid's ironic marksmanship. Jerry's favourite toast, "Merrily we go to Hell". And meet Jerry Corbett (Fredric March), the object of Joan's affection. He's a newspaperman who writes plays on the side. He is going to give up drinking next Tuesday afternoon at three o'clock. Everybody knows Joan is too good for Jerry. Joan, deep down inside senses it, but she loves the guy. Her love is strong enough to convince her doubting father (George Irving) that he will gain nothing by standing in the way of the marriage. Jerry is running from his drinking habit and the memory of the actress Claire Hempstead (Adrianne Allen) who broke his heart. Joan is his cure. The marriage begins well with Jerry off the wagon and sticking to his plays despite the number of early rejections. Joan is the perfect companion and inspiration. Pals Buck (Skeets Gallagher) and Vi (Esther Howard) are steadfast, clear-eyed and endeavour to help keep things on an even keel. 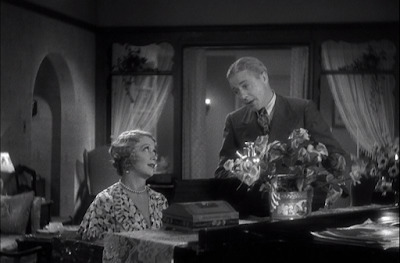 When Jerry's satirical romantic comedy is picked up by a Broadway producer the world belongs to Mr. and Mrs. Corbett. Back in Claire's web with a drink in his hand. Enter stage right, the star of Jerry's play, his old flame Claire Hempstead. As if on cue, Jerry once again has a drink in his hand and a tormented heart. The night of the successful opening a showdown between Mr. and Mrs. Corbett finds Jerry beating a path to the perfidious Claire. In a moment of misplaced assertiveness Joan decides theirs will be a "modern" marriage. Joan parties with a young actor playing a young actor, Cary Grant. Joan's toast, "Gentlemen, I give you the holy state of matrimony - modern style. Single lives, twin beds and triple bromides in the morning." 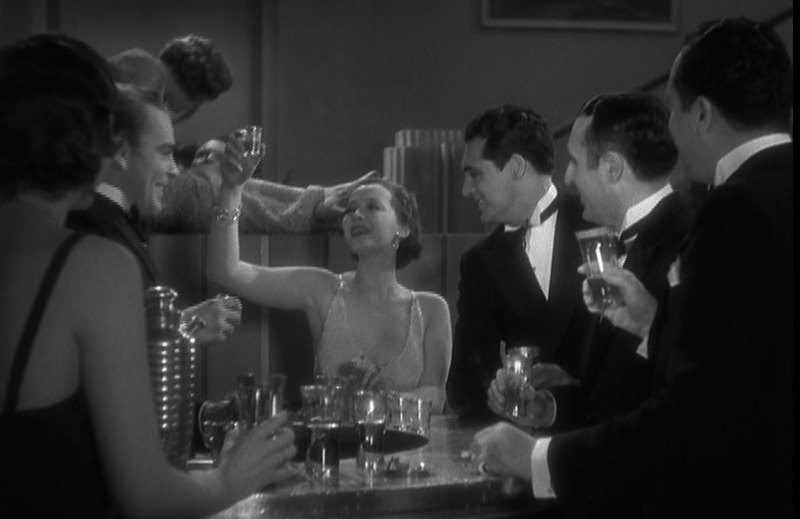 Joan takes to the drinking and party scene like she was born to it. Who are we kidding? She's heartsick over Jerry, but keeps up the pretense because once started on this path she finds no way to stop. There's an age-old issue that usually comes, sooner or later, to young wives. It is not merely the thick atmosphere of smoke at a penthouse party that leaves Joan feeling ill, and a doctor confirms her delicate condition. Unable to get Jerry to listen to her news, Joan leaves him and returns to her father in Chicago. At least he always loved her. Jerry has never said those words. Months (nine) apart have forced Jerry to take a long look at what he has done with his life and to Joan's. He is back at his old Chicago newspaper job and back on the wagon. Joan's months have passed differently and, we learn, with great difficulty. Her father tries to keep Jerry from her, but Joan's love is steadfast. The insightful and involving screenplay by Edwin Justus Mayer is based on a novel called I Jerry, Take You Joan by Cleo Lucas. The 1932 Paramount release was directed by Dorothy Arzner. 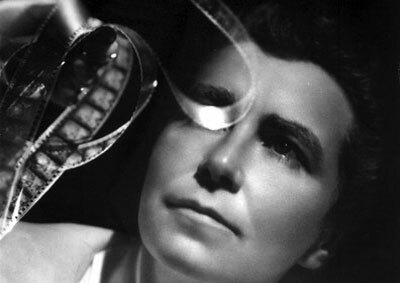 Dorothy Arzner appears to have the ability to see her films as a whole which rely on all of its components to tell the story properly. As a viewer, there is a sense that hers is a sure hand that knows where to guide our movie watching experience. In the framing of her actors in close-ups to highlight emotional scenes, I see a respect for her stars and an appreciation of the dialogue. 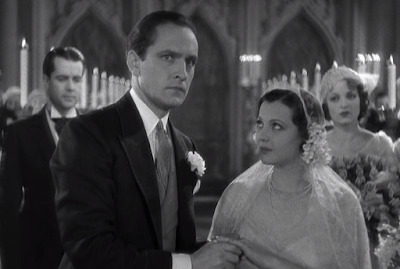 There is a lovely dissolve when Joan has been disappointed by Jerry, but the determination on her face fades to wedding bells indicating the character's state of mind as well as the passage of time and events. Women were important and established founders and members of the early film industry, handling creative and administrative chores both behind and on the screen. In the period following the First World War young Dorothy Arzner made her way into that industry first as a typist for William De Mille, then a story synopsis writer. Her eye was on the prize of directing and she was given the opportunity at Paramount to move into editing and assistant director. Mentored by James Cruze on The Covered Wagon her skills were recognized and her opportunity arrived. Success with features began for Ms. Arzner at the end of the silent era and continued into that of sound. 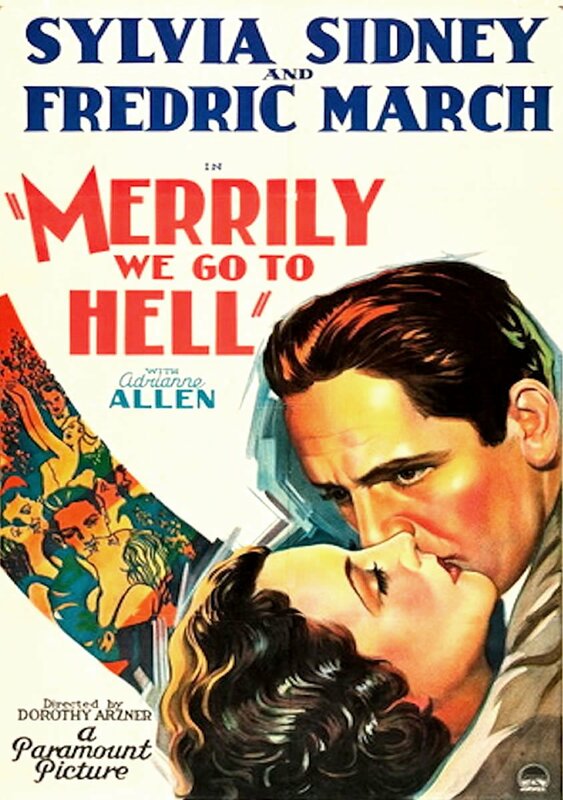 Our picture, Merrily We Go to Hell, would be her final picture made at Paramount. Apparently, it was a salary dispute that caused the parting of the ways. The following year at RKO she would direct Christopher Strong starring Katharine Hepburn and the year after, Nana for Samuel Goldwyn's European import Anna Sten. In 1936 Rosalind Russell would star in Arzner's Craig's Wife based on George Kelly's play. A turn at MGM would yield The Last of Mrs. Cheyney and The Bride Wore Red starring Joan Crawford. Back at RKO in 1940 would bring the interesting Dance, Girl, Dance with Maureen O'Hara and Lucille Ball. 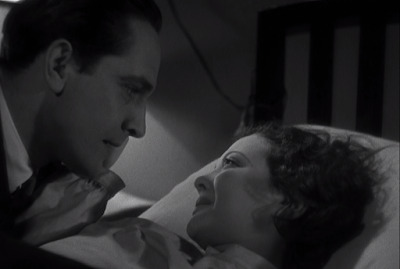 Her final credited feature is the wartime suspense drama First Comes Courage for Columbia starring Merle Oberon. 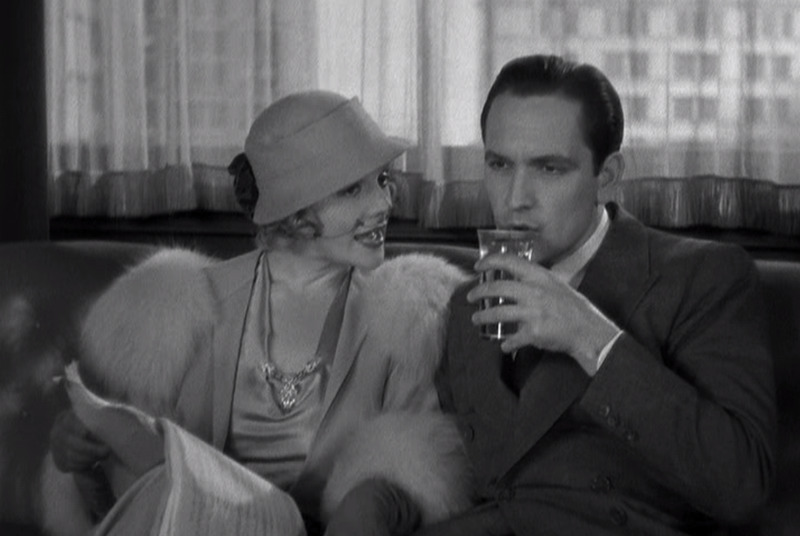 During a time when women were cut out of their rightful place in the film industry, we are lucky to have Dorothy Arzner's output to enjoy and to study. We are fortunate also in the fact that she passed on her knowledge and skill to future generations of film professionals as a teacher at the Pasadena Playhouse and UCLA. Dorothy Arzner led an inspiring career during a time when the difficulties in doing so are only beginning to be surmounted now in the 21st century. Arzner was pretty fortunate to have lasted past the silent era as long as she did. 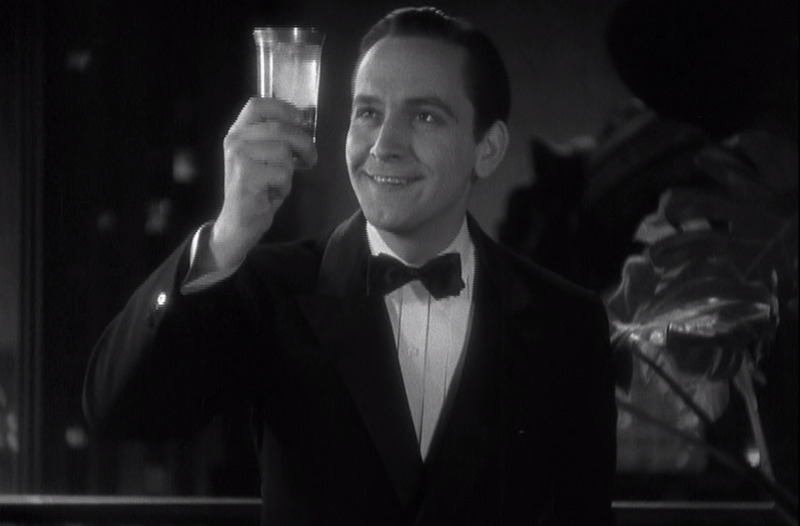 Is it my imagination, or did Fredric March play a lot of drunks? It is not your imagination. Ol' Fred had the drunk schtick down to an art, and a lot of directors were happy to use it. Thanks so much. Arzner's work shows an emotional and savvy director which is an interesting combination. Thank you for hosting this blogathon. It was a pleasure to contribute, and to read all of the articles. I heard this title for years but never bothered to look into it. A few weeks ago my sister and I saw "Dance, Girls, Dance" and Arzner's style of filming was really appealing, so I can imagine how she builds up on this story! Poor Sylvia Sidney always seems to fall for the wrong guy. "Succumbed to Cupid's ironic marksmanship"....CW, that's one of your best lines! Oh, thank you for the compliment on the line. I will admit to slapping myself on the back the night it came to me (blush). Dance, Girl, Dance is a movie I have meant to see, but haven't gotten around to yet. This will be the year! Hi Caftan Woman. I have always wondered where that title came from. I liked the title of the book, too. I have not seen enough of Dorothy Arzner's, but I could see what you meant about her taking a holistic view of the story and the characters. It makes you wonder what other directors have we missed out on due to Hollywood's sudden prejudice against female directors as the sound era started to come into vogue. Great piece! I love Merrily We Go to Hell. Dorothy Arzner made several great films and you've inspired me to see the ones that I haven't yet seen. Thanks for bringing recognition to Arzner's wonderful work! Thanks. I agree that Arzner brings you most intensely into her character's lives. Your review is engrossing. I was so wrapped up in reading the plot synopsis that I felt a bit ripped off that you didn't tell us how it ended! ;) This means I have to find the movie for myself, which I'm looking forward to. Sometimes I'm a spoiler, and sometimes I catch myself just in time. Enjoy the movie when you happily cross paths.